Making your own CRANKBAITS from scratch or painting Real Pro's CRANKBAIT BODIES is much easier than most anglers think. Requires few tools, just follow these simple instructions and you'll be well on your way to becoming a much better angler. Follow the painting instructions for both wood and plastic crankbaits. Each wood has a unique action. Softer woods tend to give the finished lure a more darting (faster) action when retrieved. Softwoods are more buoyant and thus may dive less than a similar lure made from a hardwood. Hard woods give the lure a slower, tighter action when retrieved. Hardwood is also less buoyant, almost neutral in many cases. Many hardwoods lures will often remain suspended and tend to glide longer on their own momentum. All woods will catch fish. The type of wood you decide to use is an exciting variable. Identical lures made from different types of wood may end up having a completely different action. The best advice is to experiment and get the feel of several types of wood. Begin using soft fine grain woods to get the hang of shaping and sanding. Then move to progressively harder woods. Begin by selecting a clear knot free block of wood, some what larger than the finished lure will be. Many round shaped top water lures have the same pattern on all four sides and thus may be turned on a wood lathe or cut by hand. Most other lures have irregular shapes and require separate top and side patterns and therefore must be cut by hand. The figures shown in these instructions show a bass diver style plug. The process is similar regardless of the style or shape of plug you are building. After selecting an appropriate block of wood. Draw centre lines on the top, sides and both ends of the block. Using a template pattern, trace the outline of the lure on top and side of your block. Use top pattern on top and side pattern on side of block. Use the centre lines to carefully position the pattern in the centre of the block. Using a scroll saw or small band saw carefully cut along the side plane of the block. Keep the cut-outs as a base to rest your plug when cutting the top plane. Now cut the top plane. 4. You should now have a rough cut plug. Use a sharp wood carving knife or jack knife and cut the edges to bring the plug to a rough round shape. Now use 60 grit sandpaper to sand the plug to the final shape. Once satisfied with the shape change to 80 grit sand paper then 120 grit, then 320 grit and finally 400 grit. First, paint all lures with a coat of white paint or primer or clear sealer to seal the lure. White is necessary if your will be painting the lure a bright fluorescent or translucent colour(s). If the paint has been thinned the lure may require a second, third or fourth coat of white paint. Let the lure dry completely before applying another coat of paint. After the base coat of white paint, paint the lure the desired colour(s). Always begin with the lighter colours first. After the paint has dried seal the lure with a quality water proof clear coat to protect the finish. You may wish to apply several coats of clear coat. Brushing is by far easiest method and requires the least preparation. Use a small 1/4" brush. Always use several thin coats instead of one heavy coat. Paint very carefully and avoid overlapping strokes. Always thin the paint you are using to prevent drips from drying on the lure. If drips develop on the lure thin the paint a little more. Dip the lure several times, letting it dry before each dip. Tip: After the white base coat dip 2/3's of the lure in bright red, orange or chartreuse for a great looking lure. Small cans of spray paint are a great way to add dashes of colour to any lure. Use a small piece of screen or nylon mesh and tape it on the lure. Spray over mesh to create a fish scale effect. When choosing the type of paint to use remember to use compatible types. Don't, for example, use a latex paint for the base white coat with alkaline paint as they may not adhere properly. Many lacquer paints contain strong solvents and are often not compatible with enamel or other mineral spirits-thinned house paints. So the basic rule of thumb when it comes to choosing the paint to use is to use similar paints for all coats and colours. Remember the final clear-coat must also be compatible with all other coats and be "waterproof". So use an exterior grade clear-coat. Use a lacquer thinner to lacquer paints. Do not use mineral spirits. Use mineral spirits to thin enamel and alkaloid paints. Use water to thin water based paints. Follow the manufacturer's instructions for proper thinning ratios or use this general guide. For brushing no thinning required. If spraying, thin paint four parts paint to one part thinner. If dipping, thin paint three parts paint to one part thinner. Now attach any hook hangers, eye screws, diving lips and line attachment screws. Clear holes and partially screw eyes into lure then using a pair of pliers twist the eyes the rest of the way in. For large plugs set screws in two part epoxy. How to clearcoat a wood crankbait? What type of sealer used on crankbaits? What will remove paint from wooden crankbaits? What top coat to seal a crankbait a crankbait? What to use on final coat crankbait? How to paint a wood crankbait? What kind of paint is used to paint crankbaits? What paint to use for lure making? What kind of paint to use for crank baits? How to make your own wood crankbait? What to use to waterproof your wood crankbait? What kind of wood do i use for crankbaits? 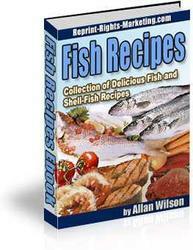 How to produce fish scale pattern on a lure? What kind of paint do you use for painting crankbaits? 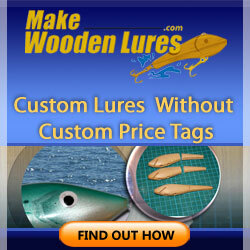 What types of wood for lures? What kind of sealer should I use when making wooden crankbaits? How to remove paint from a wooden crankbait? How to seal balsa crankbait? How to proteckt balsa lure? Can you glue in line ties on balsa lures? How to make wooden crankbaits?